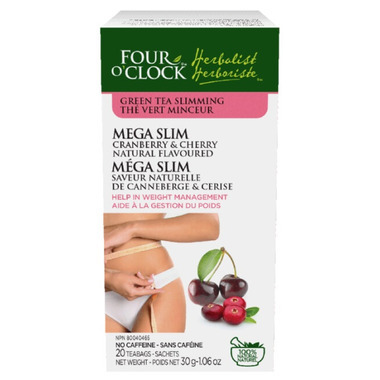 The caffeine contained in this herbal tea accelerates weight loss by stimulating the metabolism. The antioxidants in green tea are also very important to eliminate certain toxins and regularize the system. This cranberry-flavored tea can be enjoyed as an iced tea and consumed at any time of the day. You can also drink it during and after the workouts. Ingredients: Cranberry, citrus (peels), lemon grass (herbe), hibiscus (flower), peppermint, apple (pieces). MEDICINAL INGREDIENT: Green tea extract (Camellia sinensis)(32.1 mg caffeine, 85.2 mg epigallocatechin-3-gallate). NON-MEDICINAL INGREDIENTS: Hibiscus flowers, apple pieces, natural cranberry and cherry flavours, lemon peels, peppermint leaves, lemongrass herb.